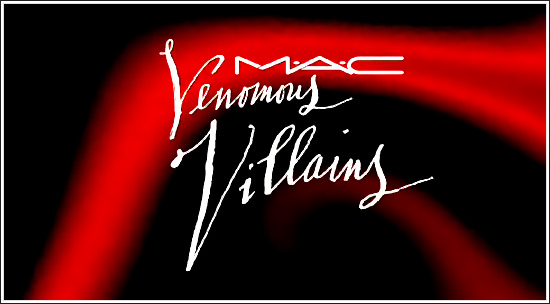 Honestly I'm getting less and less excited for MAC's upcoming Venomous Villains Collection as the time draws nearer. Today, I have more pictures of the not-so-beautiful packaging, the product details, and the collection swatches. 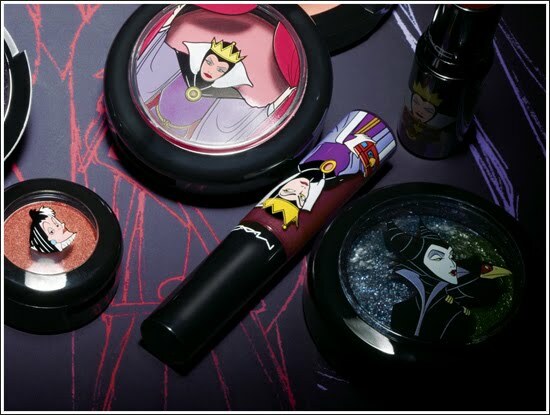 It's funny because a few weeks ago I was at MAC and asked the artist about this collection and she said, "I'm not allowed to talk about the collection but the packaging is GORGEOUS!!" 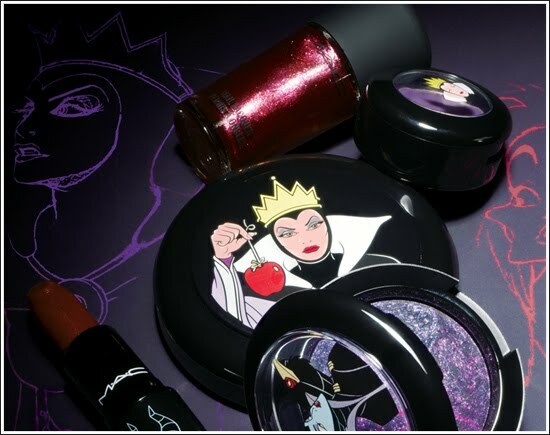 Ok, first off I should've gone to my usual MAC store where the artists are cooler and spill all the details. Secondly, what planet is this lady on?! 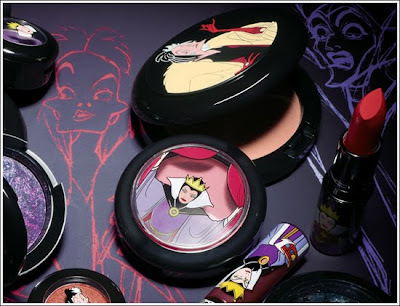 This packaging is not gorgeous -everything looks like a toy that could be purchased at the Disney Store. I even looked at her and I was like, "Oh did they change the packaging?! 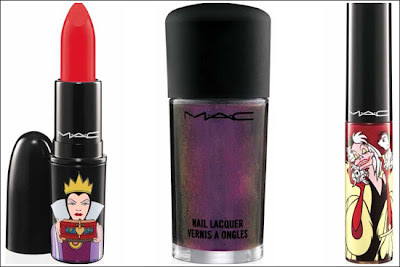 Because in the pictures I've seen, the packaging looks so cheap and plastic-y like.. toys." She beamed, "Yea that's the one!" I don't know about you but this collection just seems boring now. None of the products really stand out -they should've included some cool palettes and WAY better packaging. As of right now, Fabulous Felines looks way more exciting. Do you think Darkly my dear looks like strada? It was my mom's favorite blush and I'm looking everywhere for it! Aaak! I hate this packaging! 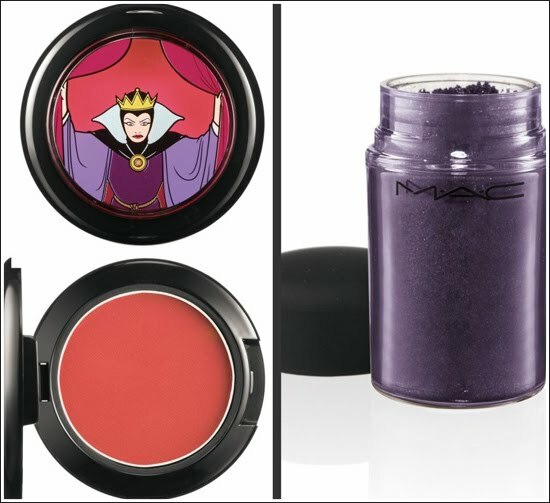 I also thought these were disney toy makeup products at first glance. I can't imagine paying $15+ for products that I'd hate looking at every day. 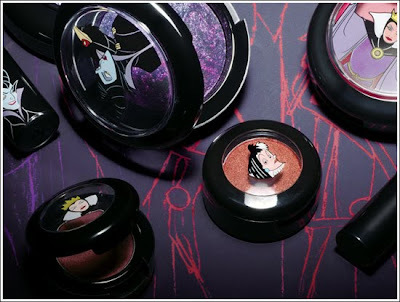 The eyeshadow packaging is especially bad with the clear lid and the figurine heads looking like a sticker on top. @ PoorCollegeStudent.. Honestly, I've never seen swatched or owned Strada. From online reviews and swatches, they don't seem to be alike. Strada looks like a cool lighter brown while Darkly My Dear looks darker and plummy. Sorry I can't be of more help! @ PAG.. LOL you can always de-pot my dear if you hate the packaging that much. But I totally agree -everything looks like a stinkin' toy! 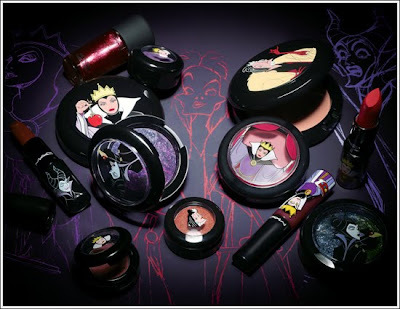 It does look like little toys, although I'm kind of loving the Cruella packaging because I was obsessed with 101 Dalmations when I was little, so it brings back memories haha. 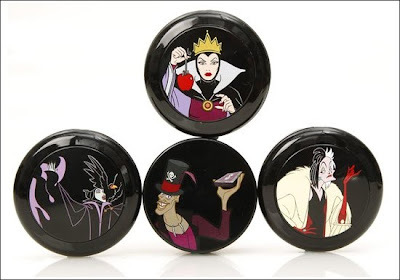 Hey Jennifer, I LOVE Cruella -she's my favorite Disney villain. I too sort of love it just because it's "Cruella" packaging but then again, they could've done like 100 times better and made it not toy-like!! And thank you so much for the award -you're such a sweetheart! I agree, the packaging is such a let down. I don't think I'll be picking up anything from this collection...my wallet is very happy, lol. Good for you! I don't know if I can totally keep away from the collection but my list has been shortened so, so much. I'll be waiting for more swatches to determine it though.